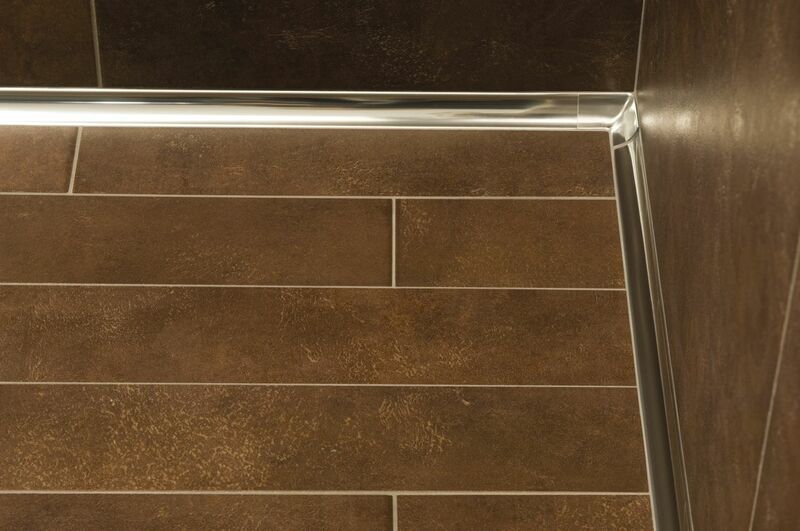 DILEX-EHK cove-shaped profile and corners used to create a smooth transition between the shower walls and floor. 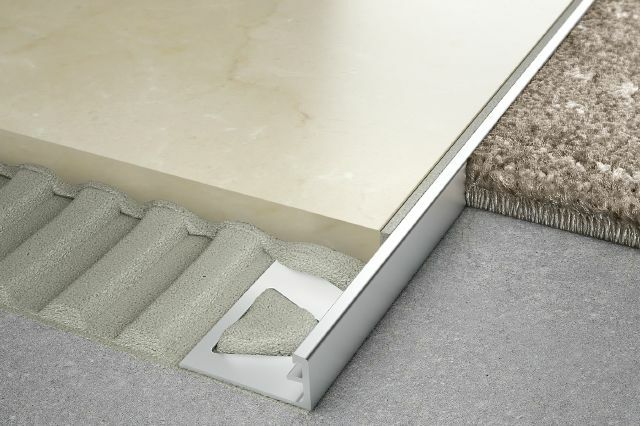 DILEX-EKE PVC corner movement joint profile inserted along the floor. 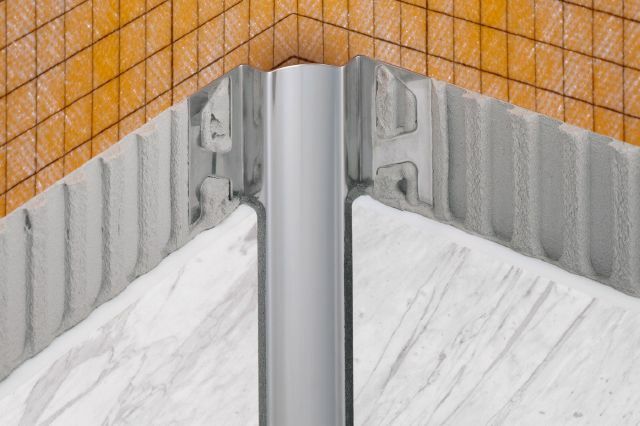 QUADEC square-shaped profile and corners applied to tile edges of the walls. 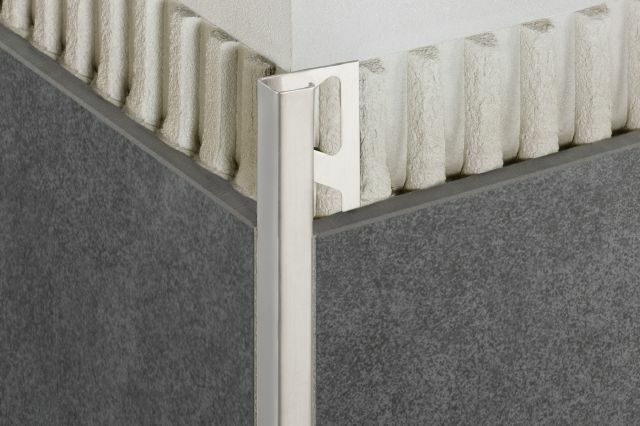 QUADEC was also used as a decorative insert in the wall. 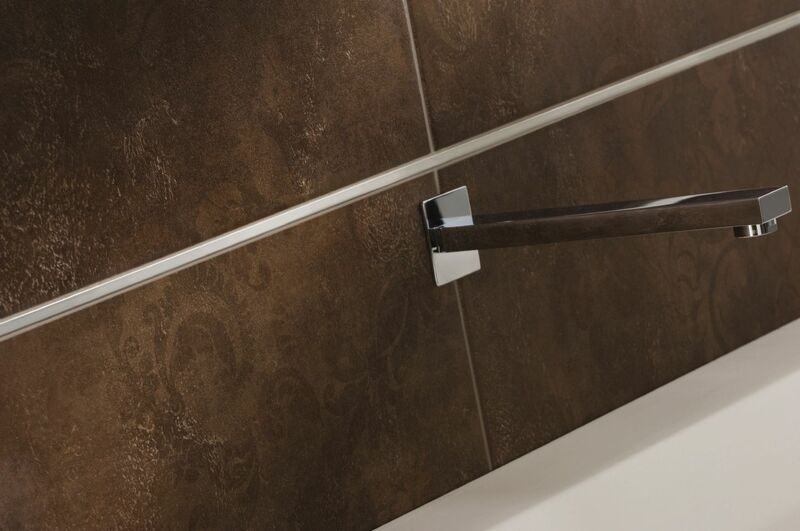 DILEX-EHK cove-shaped profile and corners used to create a smooth transition between the shower walls and floor. 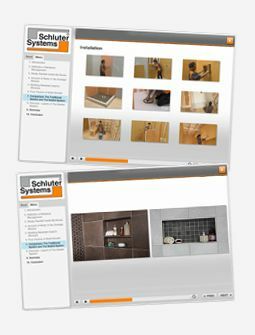 The KERDI-DRAIN and KERDI-SHOWER-T shower tray are used in this barrier-free shower. 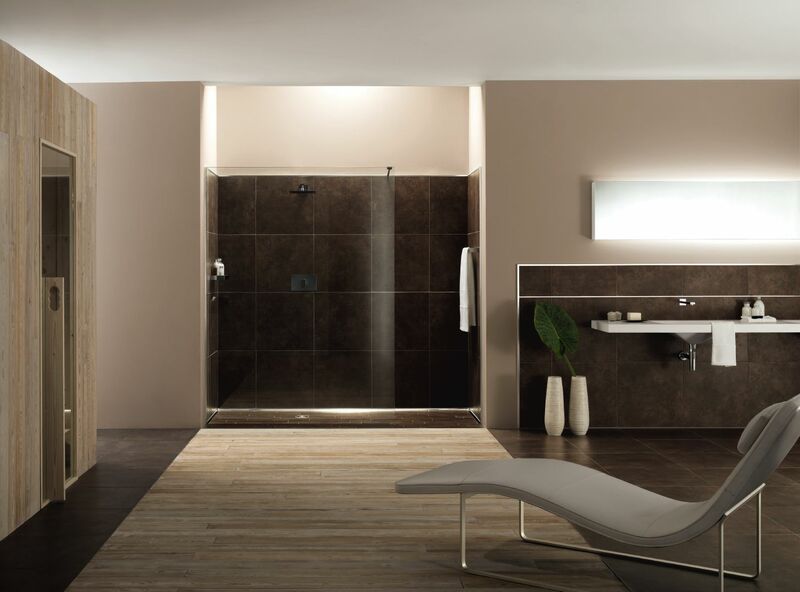 Integrating KERDI in the shower to DITRA on the floor makes this bathroom completely waterproof, clean, and worry-free. 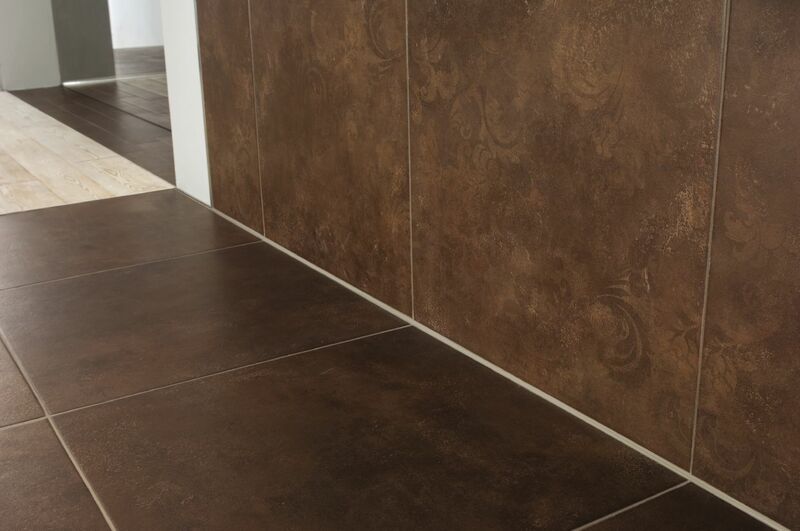 QUADEC square-shaped profile and corners applied to the edges of the wall and as a decorative insert. 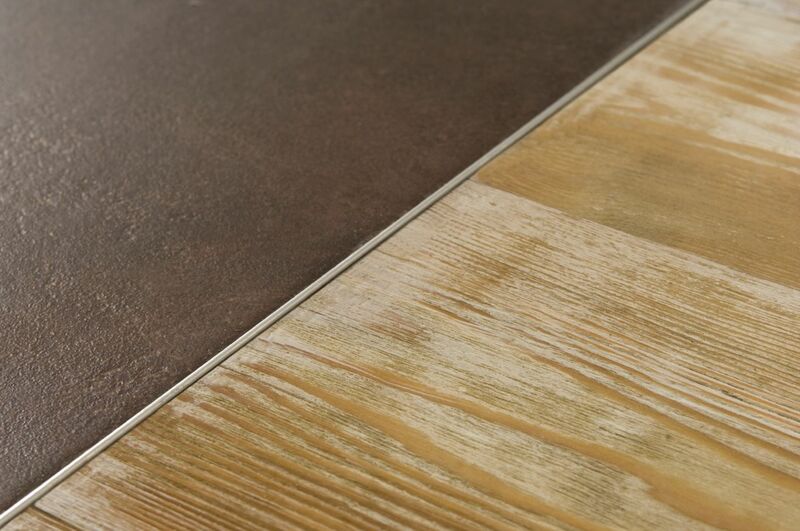 SCHIENE straight-edge profile inserted in the floor, creating a smooth transition to the adjacent wood floor.